James Bond - The Secret Agent: October 5, global James Bond amateur day! Since 2012, October 5th has been global James Bond day. The reason for this date to be chosen is that on October 5 1962 the first James Bond film Dr. No premiered in cinemas in the UK. And the reason this was announced in 2012 is of course that the film series turned 50 years old that year. James Bond in book form was released much earlier, in 1953 to be exact. But if you read this chances are high that you are a James Bond nut just like me. May I therefore suggest that you do what I will do. I got the idea from Italian-American singer Dean Martin who had a reputation of being a heavy drinker. He said that he did not drink alcohol on New years eve because that was amateur night. He drank all the other days during the year. I have always enjoyed that joke. He knew what people thought of him and he used it. Therefore, in my world, today is global James Bond amateur day. Today James Bond is celebrated by the common James Bond fan. 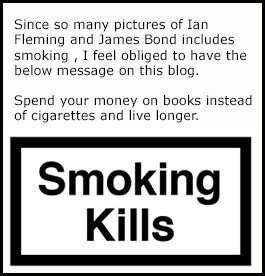 The fan who has never even read a Ian Fleming book. Rest of the year I intend to enjoy the greatest spy out there. Happy global James Bond amateur day. Bond fans! 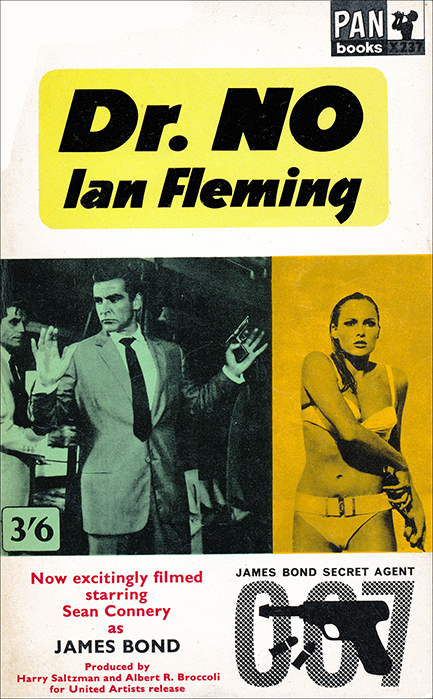 Below is the Ian Fleming, Dr No, Film release tie in version printed in 1963.